In this small series of blogs we discuss the important role of magnesium in the body, the different types of magnesium available, common misunderstandings, 'clean label' magnesium and the different types of delivery method available. 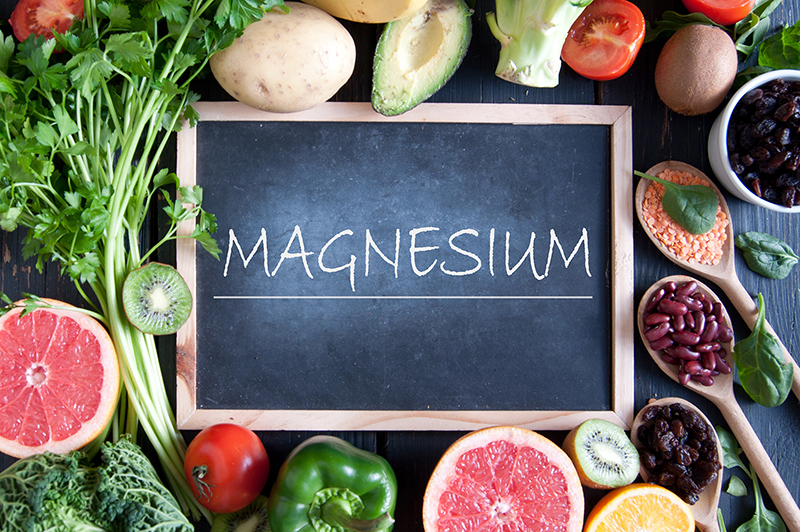 In blog 1 we explored the different ways that magnesium is used in the body. Blog 2 went on to discuss magnesium chelates and different absorption methods. Blog 3 highlighted 'Magnesium Myths' and Blog 4 described 'Clean Label' magnesium. In this final blog of our mini-series we hope to help you decide on the best type of magnesium for your needs and lifestyle. Popular magnesium products are generally food supplements in capsules, yet other forms exist such as powders that are mixed in water or topical sprays and lotions for absorption through the skin. As mentioned previously the best magnesium for solubility is Magnesium Citrate, which the daily recommended amount can be easily taken as a water solution shot or added to a sports bottle to drink throughout the day or during a workout. Another type of magnesium product that is gaining in popularity, especially in the sporting community is topical magnesium; a magnesium chloride solution that is sprayed directly on to the skin. However, this form is problematic, as dose calculation is difficult and even controversial in its effectiveness. The skin is the largest organ of the body and functions as a barrier between the innards and the external environment. For example; this barrier protects against the permeation of ultraviolet radiation, chemicals, allergens and micro-organisms. Subsequently, the ability to absorb substances from the outside is very limited. To get through the skin, a substance must first penetrate the outer layer of the skin which consists of dead cells bonded together with fats or absorbed by sweat glands or hair follicles. The outer layer of the skin acts as a water-repellent barrier and so, for a substance to pass through it must be fat-soluble. Topical magnesium sprays comprise of a magnesium chloride-water solution, of which the magnesium is present in a charged form and therefore not able to penetrate the fatty-dead skin layer. In addition, the size of a hydrated magnesium molecule has been reported to be 400 times larger than its dehydrated form, and so, it is suggested that it is almost impossible for magnesium to pass through biological membranes. The other possible route of absorption for topical magnesium is via the hair follicles and sweat glands, however, they only account for 0.1% to 1% of the skin’s surface. Therefore, even if the magnesium is absorbed in this manner it is unlikely a therapeutic amount could reach the blood for delivery to the cells. Equally, magnesium sulphate baths such as Epsom salt baths offer little absorption however, a study showed that a small increase in blood magnesium could be detected after a long duration soak in a magnesium sulphate bath, however the rise did not achieve a therapeutic level. Additionally, a study investigated the topical application of magnesium lotion, however no significant changes in blood magnesium were detected . As a final point; there are a host of magnesium products available in supermarkets, pharmacies and health food stores, however exploratory research has revealed that the most effective method of providing the recommended daily amount of magnesium is through food supplements. Magnesium salts are considered the best in terms of optimal absorption and utilisation; look on the ingredients list for; Magnesium Citrate, Magnesium Oxide, Magnesium Taurate or an amino acid chelated Magnesium such as Magnesium Bisglycinate. Topical preparations may be useful additional products to use alongside food supplements but be aware that they will not provide therapeutic amounts of magnesium. Lastly, it pays to read ingredients lists and ask questions. A specialist health food store will be best placed to give you the answers. Gröber, U., et al, 2017, “Myth or Reality—Transdermal Magnesium?” Nutrients 9(8): 813. Chandrasekaran, N.C., et al, 2016, Permeation of topically applied Magnesium ions through human skin is facilitated by hair follicles. Magnes. Res. 29:35–42. Kass, L., et al, 2017, Effect of transdermal magnesium cream on serum and urinary magnesium levels in humans: A pilot study. PLoS ONE, 12(4), e0174817. Shechter, M., et al, 2012, Comparison of magnesium status using X-ray dispersion analysis following magnesium oxide and magnesium citrate treatment of healthy subjects. Magnesium Research;25(1):28-39.